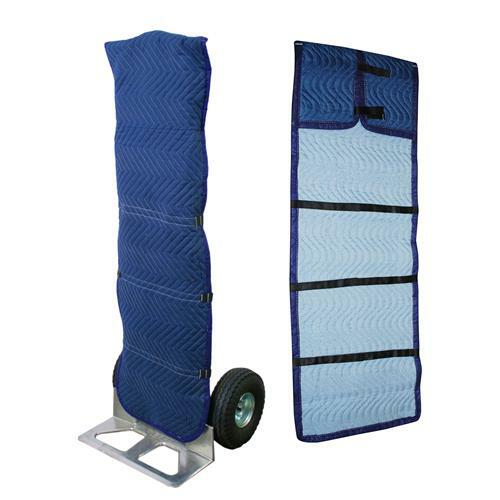 Protect your hand truck and cargo with this hand truck cover. Durable padding protects against scratches and nicks and prevents smaller items from slipping through the back of the truck. This cover offers a padded quilted fabric and is sewn with lock stitching for slip resistance. Easy slip-over design fits most standard hand trucks and easily attaches using hook & loop straps. This cover measures 48” high by 16” wide.